Here are some beautiful creatures we encountered while exploring the shrubby desert not far from the mountains in Arizona. Limenitis arthemis – the Red Spotted Purple (family Nymphalidae). Not exactly a glamorous caterpillar, considering how beautiful the butterfly is! But also consider how useful this camouflage strategy is. Looking like an unappetizing pile of bird poop with fungus growing out of it doesn’t exactly scream “dinner”, now does it? Hyles lineata – The White Lined Sphinx (family Sphingidae). These guys were everywhere! They were huge, wandering around looking for places to dig into the ground and pupate. Sphingicampa hubbardi – Hubbard’s Silk Moth (family Saturniidae). WOW!!! 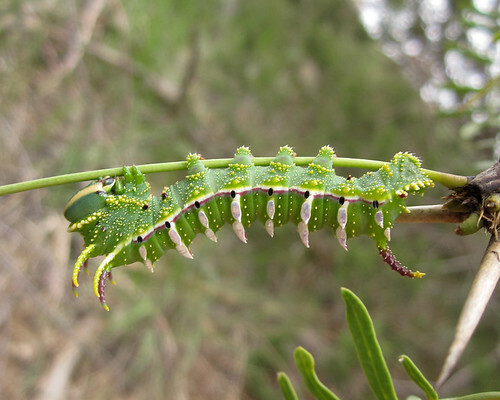 This is one of my favorite caterpillars of all time! What is difficult to discern from this photo is just how shiny those silvery spikes are. You can nearly see your reflection in them! 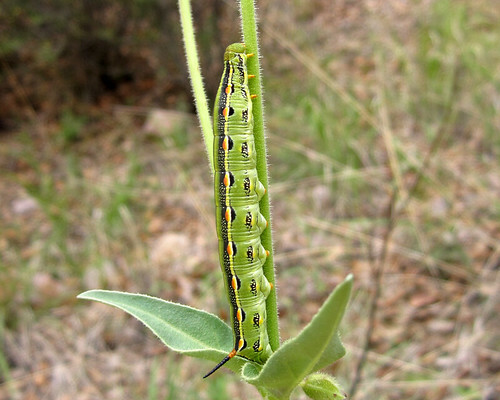 This caterpillar is about 2.5″ long, so you would think it’s easy to spot. In fact, all those silvery spikes and brightly colored spots help the caterpillar blend in to its brambly and colorful environment. The adults are fuzzy with pretty pink underwings, but I think the larval stage is the most impressive. 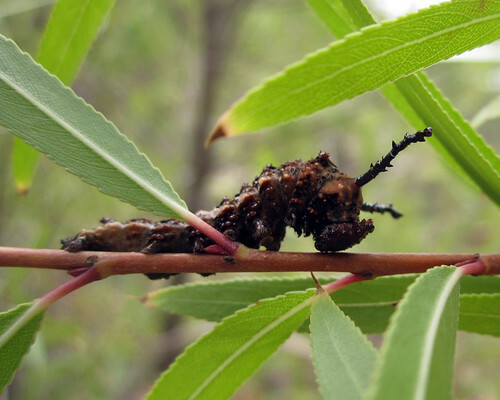 Posted on September 8, 2011, in Arizona Lep Course, Invertebrates, Lepidoptera. Bookmark the permalink. 1 Comment. Oooh, I love the hubbardi larvae! One of my students found one walking around on the sidewalk on campus last fall and I was completely enamored by it. They’re so beautiful!